Who are the Albanians ? This article will attempt to trace the history of a people who are little known or understood. It was the geographer and astronomer of Alexandria, Egypt, Claudius Ptolemy (90-160 A.D.) who first referred to the “Albana” people, an Illyrian tribe. Their capital city was Albanopolis near the coastal port of Durres, and not far from Tirana, the capital of modern day Albania. The early history of the area occupied by present day Albania begins in the middle of the third century B.C. The Illyrians founded a kingdom on parts of the coast and in the region surrounding the modern city of Shkodra. The Illyrians were probably an Indo-European people who had settled in the Balkan peninsula in pre-historic times. The land of Illyria included not only the Albania of today but also the Roman provinces of Dalmatra (Yugoslavia before the partition) and Epirus (today in North-west Greece). The Roman occupation of Illyria began when the last Illyrian king surrendered the capital to Rome in 168 B.C. By the end of the 1st century B.C., the Romans had conquered all of Illyria. In the 4th century A.D. the Roman prefecture Illyrium was organized to include a large part of the region north of the Adriatic Sea and much of the Balkan peninsula. Under Roman rule, Illyria enjoyed great prosperity and many roads and towns were built. During the time of the Roman emperor Constantine the people were gradually Christianized into a form of Catholicism with weak ties to the Pope in Rome. After the fall of the Western Roman Empire in 476 A.D. a barbarian horde from the north, The Ostogoths, moved in. They were converts to the Arian Doctrine, a form of early Christianity which believed neither in the divinity of Christ nor the crucifixion. The Ostogoths remained in the country until 535 when emperor Justinian re-conquered it for the Byzantine Empire. The land was later invaded by barbarian people from the north-east of Europe, the Slavs, and from the east by the Bulgars. By 640, the Byzantine emperor Heraclius finding no one to help him drive the Slavs out, settled them in the south-western part of the Balkans, thereby dispossessing the Illyrians and moving them southward. The Slavs gradually formed the Slavic states of Serbia, Croatia, Dalmatia and Istria, and became Christianized. 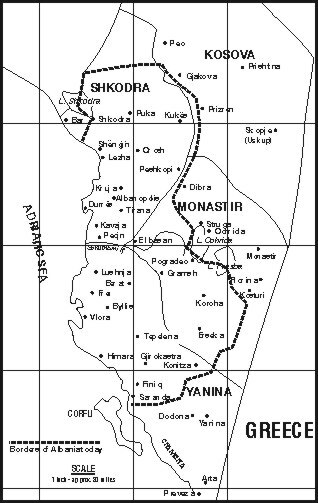 Foreign rule never became fully entrenched in the rugged mountain region of south western Illyria and some of the fierce mountain tribes continued to live in virtual independence. However, from 1014 to 1204, the southern most areas were again under Byzantine rule. According to scholars in linguistics, the Albanians of today are the only people in Europe and, particularly in the Balkan peninsula, whose language is that of the ancient Illyrians. Albanians are the indigenous continuants of the Illyrian population who were neither ‘Romanized’ nor assimilated by later invaders. By the mid 7th century, the land of the Illyrians, now referred to as Albania, was reduced by the onslaught of the Slavs to roughly the area between Shkodra in the north to Akarnania in the south and from the coastal area of Durres to include the regions of Kosovo and Monastir in the east and Yanina in the south. The kings of Sicily (Hohenstraufen) invaded and ruled Central Albania from 1271 to 1378 during which time the Serbs also made inroads from the north. Under the Serbian Stephen Dushan (1331-1355) a large part of Albania was subdued by 1344. The atrocities of the Serbs in Albania led a great number of people to flee to southern Italy. The refugees in Italy referred to their homeland as “Arbana” and to themselves as “Arbaneshe”. This lends support to the writing of Anna Comnena (1083-1146), daughter of the Byzantine emperor, Alexius I, who recorded in her famous history that the population located behind Durres called themselves “Arbanez”. Perhaps the geographer Ptolemy confused the letters “R” and “L” and wrote “Albana” rather than “Arbana” in his book. The same conditions that led some groups to flee to Italy, led others to move south to Greece where they formed Albanian communities especially in Macedonia and Thrace. According to Greek records of the 15th century, these people called themselves “Arvaniti”. As Greeks to the present day always pronounce the letter “B” as “V” this would account for this version of the name. 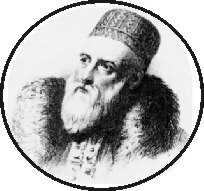 One of the early Albanian writers of the16th century, Gjon Buzuku, referred to his country as “Arben”. He was also the first to call its language “shqip”. Today Albanians call their country “Shqiperia”-the land of the eagle, and themselves “Shqiptare” – the sons of the eagle. In 1389 the Ottoman Sultan, Murad I defeated an anti-Ottoman coalition of Hungarians, Bulgarians, Romanians, Poles, Serbs and Albanians at the battle of Kosovo. Although the Sultan was assassinated by an Albanian named Milosh Kopiliq this bloody defeat opened the way for yet deeper penetration of Albanian territory under Sultan Bayazet – nicknamed “Thunderbolt”. He overran Albania from 1394 to 1396 and occupied it from Gjirokastra in the south to Shkodra in the north, and from its eastern border to Durres on the coast. Albania was to become a Sanjak (flag) of the Ottoman Empire – Sanjaki Arvanid, later Sanjaki Arnaud. In their literature of the 15th century, the Ottomans refer to Albania as “Arnautluk” – the land of the Arna’uts, and to the Albanians as Arna’ut or Arna’uti. It seems obvious that these terms are a corruption of the Greek word Arvaniti. The Arna’uts, as the Ottoman called them, rose against Ottoman rule led by the great national hero Scanderbeg. Although a Muslim, he was first a patriot and so resisted the rule of the Ottoman Turks. Only after his death in 1468 did the Ottomans gain the upper hand – yet their rule was never completely effective. During the period of Ottoman dominance the majority of Arna’uts converted to the Sunni sect of Islam. Many distinguished themselves in the services of their Turkish rulers. Arna’uti courage and loyalty led to the Turkish Sultans preferring them to the Janissaries as their royal body guard – in the same way that the roman emperors before them had appointed Illyrians as their praetorian guards. Like the praetorian guards, the Arna’uts could make or break the ruler. One instance was the re-instating of Sultan Selim III (1789-1807) when the Janissary had removed him to appoint Mustafa IV (1807-1808). Shortly after Selim was murdered by the Janissaries, the Arna’uts succeeded in making his brother a Sultan- Mahmoud II (1809-1839). The Arna’uts became synonymous with the wild and fearsome mountaineers of the rugged land of Albania. They became the cream of the Ottoman forces and several rose to the level of grand vizir such as Kara Mustafa who conquered the Balkans and laid siege to Vienna in 1683. Albanians never became part of the Ottoman melting pot, although there were large cities in the Ottoman Empire that were heavily populated by Muslim Albanians, such as Salonika, Kavalla and the region of Thasallia, all in northern Greece of today. During the 18th &19th centuries, independent native princes ruled Albania for brief periods. One of the foremost was Ali Pasha of Yanina (1741-1822) who rebelled and fought against the Turks, successfully carving for himself a sizeable area of the Ottoman Empire which he ruled independently of the Turks. He had his capital at Yanina (now in north -west Greece). His land extended from Durres to the south to include all of the Peloponnese except Attica and east to encompass Thessaly and part of Macedonia. As part of his strategy to weaken the Ottoman Empire, Ali Pasha encouraged and subsidized the Greek War of Independence causing Victor Hugo to consider him as “the only man of the age fit to be compared to Napoleon”. It is ironic to note that another Arna’ut -Mohamed Ali of Egypt, was ultimately responsible for suppressing the Greek revolt. 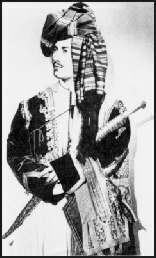 He had been asked by Sultan Mahmoud II (1809-1839) to help defeat the Greek rebels. 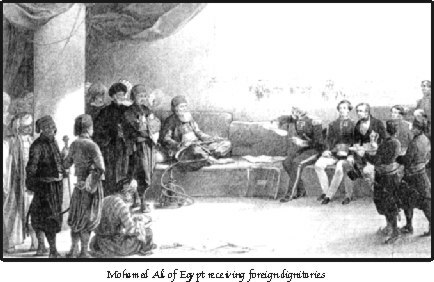 At first Mohamed Ali was hesitant to take up arms against the Arna’uts and their Greek allies. Then news came that the Greeks had turned on the Arna’uts, who had been living for centuries in various Greek centres, and massacred thousands, burning villages and destroying mosques. In addition, Sultan Mahmoud promised to make Mohamed Ali ruler of Morea (southern Greece of today) in the event of a successful campaign. So Mohamed Ali sent his son Ibrahim, who, like his father, had been born in Kavalla, in northern Greece, to lead his Nizam Jadid (the new order) highly trained Egyptian soldiers, much admired by Ottomans and Europeans alike. Ibrahim quickly succeeded in quelling the rebellion. Although Ibrahim’s birthplace, Kavalla, was once heavily populated by Arna’uts and had several mosques – nothing remains today except for an equestrian statue of Ibrahim, symbolically placing his sword in its scabbard. In 1846, shortly before Mohamed Ali Pasha died, he visited Kavalla donating money for a school which still stands to this day. When the Sultan reneged on his promise to Mohamed Ali, a feud broke out between them leading the Pasha to declare total independence from the Ottoman Empire. With his son Ibrahim continuing to lead the army, Mohamed Ali carved out an extensive empire that included : Egypt, Syria, Arabia, Palestine and eastern Anatolia. The entire Ottoman Imperial army was defeated at the battle of Nazib on June 24, 1839 and the way was open to Istanbul. At this point, the European powers intervened and persuaded Mohamed Ali to make his son withdraw in return for making Egypt an independent country to be ruled by him and his descendants. And so it was until 1952 when the last of Egypt’s Albanian monarchs-King Farouk-abdicated, ending the dynasty founded by Mohamed Ali in 1805. Most likely Lady Montagu had been observing the habits of the Bektashi Muslim sect which was introduced to Albania by Bektashi dervishes when they rode with the Ottomans into the Balkans. The founder of this sect, Hadji Bektash, was born in Persia, in 1249, moved to Turkey in 1284 and died there in 1344 at age 90. He revered Christ as equal to Mohamed and both as the true messengers of God. The orthodox Sunni Muslims attacked the Bektashi sect and described it as being “half Muslim, half Christian” but naturally such a religious half-way house held a special appeal for Christian Albanians otherwise reluctant to be converted to Islam. Unfortunately, the hatred of Bektashism by the Sunni Turks increased, leading to the decline of the sect to some 200,000 adherents by the end of the 19th century. Albania persisted in its attempts to regain independence from the Ottomans throughout the last half of the 19th century. With the help of European powers, Greece, by the 1830s, had already become independent. However, it was in vain that Albania pleaded for support, as none of the European countries even paid lip service to this cause. Albania unilaterally declared its independence on 28th of November 1912, and the Great Powers of Europe finally recognized Albanian independence from Turkey in principle at the Conference of Ambassadors in London, on the 11th of December 1912. Albania declared its neutrality in all future conflicts in the Balkans at this time. The following year the conference met again and decided that for this recognition Albania must be deprived of half her territory and population including the regions of Kosovo, Monastir and Yanina. Subsequently the secret “Treaty of London” in 1915, between England, France, Italy and Russia agreed to the complete dismemberment and partition of Albania to Italy, Greece, Serbia and Montenegro so as not to have an Islamic state in Europe. Greece and Italy invaded Albania; the former occupied southern Albania, the latter held part of the southern coastal area on the Adriatic. Encouraged by the Greek and Italian success, the Serbs and Montenegrins invaded northern Albania in 1915. Reports had been made to the Great Powers the previous year about the atrocities of Serbian troops killing men, women and children in northern Albania especially in the ‘vilayet’ of Kosovo; and it was emphasized that they had been committed in cold blood. The plan to partition Albania was brought to the Peace Conference of Versailles at the end of World War I. Debate continued on whether to recognize a tiny autonomous Albanian state. The Albanians had to fight as never before for their very existence as a nation. Prior to the Peace Conference of Versailles the American President, Woodrow Wilson had convened a Congress of Oppressed Nations in July 1918 in Washington, D.C. and Albania was among the countries represented at the conference that culminated in President Wilson’s issuing his famous “14 Points” on nationhood and self-determination. At Versailles, Wilson opposed the partition of Albania and threatened that he would not sign the treaty. The final compromise enabled Albania to remain independent but with the borders outlined in the treaty of 1913. Turkey also suffered tremendously by the loss of all her territory in the Middle East and Europe, except Istanbul; and the notion of the partition of Turkey itself was discussed. Subsequently, Greek forces landed in Anatolia to establish their territory there.